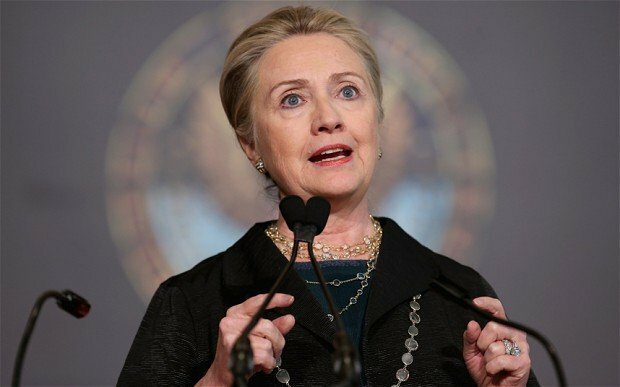 US Secretary of State Hillary Clinton fainted and had a concussion, the AP reports. The State Department said an ill Hillary Clinton is now recovering at home after the incident, according to the AP. CBS News’ Margaret Brennen reports Hillary Clinton was dehydrated from a stomach bug. An aide, Philippe Reines, says Hillary Clinton will work from home next week, where she will be monitored by doctors. Congressional aides do not expect her to testify as scheduled at congressional hearings on Thursday into the September 11 attack against a U.S. diplomatic outpost in Benghazi, Libya, that killed four Americans, including the U.S. ambassador. “Secretary Clinton’s team contacted Senator [John] Kerry this morning to inform them of the Secretary’s concussion,” Jodi Seth, a John Kerry spokesperson, said Saturday. The aides spoke on condition of anonymity because they weren’t authorized to publicly discuss Hillary Clinton’s status. Hillary Clinton pulled out of a weeklong trip to North Africa and the Middle East because of a stomach virus this week. Only days before, Hillary Clinton had said she was in excellent health during an interview with Barbara Walters. At 67, detractors have claimed Hillary Clinton’s advancing age and health make her too old to realistically serve as a two-term president were she elected in 2016. “I am, thankfully, knock on wood, not only healthy, but have incredible stamina and energy,” Hillary Clinton told Barbara Walters. Hillary Clinton has a history of fainting, having a brief spell in 2005 during an appearance before a women’s group in Buffalo. In that case, she recovered quickly and immediately resumed all scheduled appearances.